Azaleas and Camellias have very similar growing requirements and are the perfect companions in home gardens whether they are suburban, country, courtyards or simply pots on balconies. Azaleas are easily grown in pots as specimens, hedges, mass planted or grown as a standard. Azaleas grow best in acid soils - pH 5.5 - that have a high organic content and are fully at their best when planted into soil that has been enriched with organic matter so that the roots are able to move out freely and soil moisture is retained for longer periods. Azaleas will grow and bloom in quite open positions, providing watering is adequate. Semi-shade positions under high trees which provide protection from the hot midday sun will give better blooms, a prolonged flowering period and less fading or scorching of blooms. Planting positions are indicated in the catalogue pages listed in the menu on the left. Deep planting will set back the surface-rooting Azalea and must be avoided. This is a major cause of unhealthy plants and promotes root rot. Dig the planting hole twice as large as the root ball and to the depth of the pot. 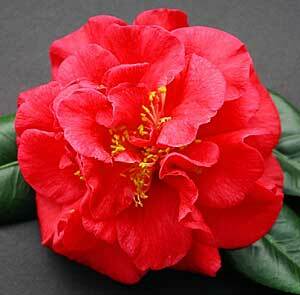 Improve soil with organic matter or special camellia mix or aged cow manure. Soak plant before removing it from the container. Firm down soil at base of planting hole before placing plant on top. This ensures the plant does not sink after planting. Ease out roots around the root ball with fingertips. Ensure top of the potted plant's soil is level with existing soil, if not the plant is too deeply planted and will need to be lifted out and more soil added to the base of the hole. You may wish to construct a small collar around the root ball so water is able to be held and allowed to soak in slowly during the plant's settling in period. Extra care, especially with watering, is required if planting during the hotter months. Azaleas suffer badly if left to dry out, particularly during the summer periods when temperatures are more extreme. Watering systems are a good investment as the microsprays apply the water directly to the root area. Azaleas are light feeders and care should be taken not to over feed. For best results a liquid fertiliser such as Aquasol® should be used every four weeks between September and March at the recommended rates on the pack. In addition, Osmocote Plus® may be appied in early Spring and Autumn. Always water well before applying fertiliser. Always read the instructions before using. Never apply more than the recommended rates given by the manufacturer. Pruning of Azaleas is best done in October-November. Vigorous growers can be cut back quite heavuily. Slow growing Azaleas should only require a light trimming or pruning back. Stray growth which pushes up through the main plant should be pruned back to 10cm below the plant's canopy to promote shorter bushier shoots. Do not mix different sprays. Only use the spray if recommended for the purpose. Be sure you have a problem. Do not spray unnecesarily. Read and follow the directions on the pack. Spraying is best carried out in the cool of the day (late afternoon). A small winged insect that is found on the underside of leaves during Spring and Summer. Damaged leaves appear silver on top and usually have a dark spotty underside. Control is necessary to ensure healthy plants. Confidor® is effective and four single sprays in early October, December, February and April will keep the lace bug under control. Almost invisible to the naked eye, these small translucent insects of spider-like appearance cause a tan discolouration to the leaf surface and malformation of new growth. Check with your local nursery if you feel you have this insect as only specific Miticides are effective. Kelthane is currently being used to control this pest. Invisible as the small insect tunnels through the leaf leaving a silvery trail before exiting. Take some foliage to a nursery to confirm. 'Pest Oil' is an effective control during the active time only. Seen only during the flowering season. Flowers tend to become brown and mushy and hang on the bush. Spraying must commence before the flowers open out for the best control. Bayleton is the most effective fungicide at present and as it is a powder it must be mixed and used for each spraying. The continual introduction of excellent new intermediate hybrids has made the old classification of evergreen Azaleas under the headings of Indicas or Kurumes appear obsolete. The small flowered Kurumes are being replaced largely by hybrids of sounder constitution and with somewhat larger flowers which are so much easier to remove when spent. LARGE GROWING SINGLES which are basically back row or specimen plants of height or ample dimensions. MEDIUM GROWING SINGLES or SEMI-DOUBLES which are second or front-row plants of intermediate or spreading growth habit. Some varietal variation of flower size will be noted in this group and the semi-doubles are mainly of the "hose-in-hose" (flower within a flower) type. These cultural notes are intended as a guide only.